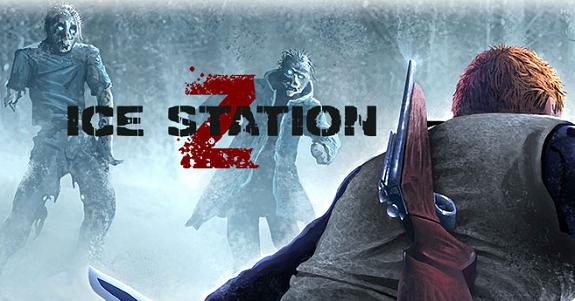 On this page, you will find all there is to know about the Software updates for Ice Station Z (released on November 3rd in Europe and North America). To check that you have the latest version of Ice Station Z, simply launch the game: you should see the version number on the title screen, at the top of the bottom screen (Ver. 1.2 in that case). Added Ray Gun at secret location. Added Flare Gun at secret location. Added Flame Thrower at secret location. Added ability to ride as a passenger in most vehicles. Added ability to knock down zombies using vehicles. Added exterior shadows to all buildings. Added collision to all trees. Added ‘exclusion zone’ around vehicles to stop other players taking them. Improved bridge model and added more trees. Improved snowcat/snow plough engine sound in multiplayer. Improved footstep sounds inside buildings in multiplayer. Improved server browser menu (shows 15 games now). Fixed bug where player sometimes wouldn’t take hunger/freeze/thirst damage while in a vehicle. Fixed bug with goose not being picked up properly in singleplayer. Removed rifle zoom affecting durability. Fixed problem with unwanted rifle zooming in multiplayer. Fixed issue with game chat when returning to title screen. Fixed exploit that allowed the player to become invincible. Fixed system hang when rendering too many objects. Fixed problem where triggers would be lost when Host Migration occurs. Fixed issue where interactions could occur while sleeping causing unexpected problems. Fixed problem where changing to a snowboard while sleeping could result in the player being stuck in collision geometry. Fixed collision hole at end of corridor in underground base. Fixed bug when using snowboard when already using vehicles. Fixed bug with prone animation. 09. Increased prone movement speed slightly. Added extra checks to make sure invincible players are no longer invincible or if they somehow become invincible the game will rectify it. Increased number of zombies in multiplayer games. Reduce effectiveness of Bear Traps versus other players. Added a height check for Bear Traps so that they don’t trigger when they are above or below the player. Added sweep test to stop player falling through map. Fixed collision bug on some beds. Stopped displaying full sessions on the matchmaking screen. Fixed problem returning to Home Menu during loading. Notes: you need to update the game in order to keep playing multiplayer (online or local). Also, the developer recommend you host games using a new save file, in order to avoid issues like missing doors or unpickable items.